Discover the geology, fossils and minerals of the Bay of Fundy. 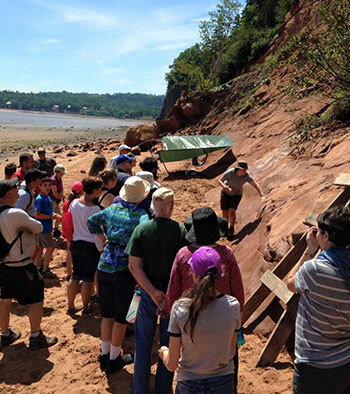 Join us and explore the secrets of the Bay of Fundy, get hands-on at Partridge Island and experience the bubbling tides or sign up for Tidal Reveal: Dig for Canada’s Oldest Dinosaurs! 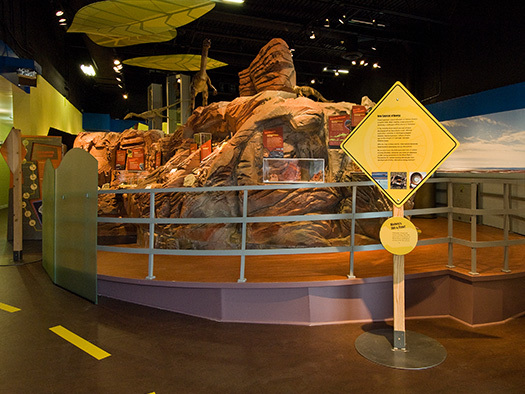 The Fundy Geological Museum displays an ancient world and some of the oldest dinosaur bones in Canada. Meet some of the ancient creatures that lived here millions of years ago: the world's first reptiles, early dinosaurs, giant dragonflies, an ancestor of frogs and a sow-bug-like creature as long as a baseball bat. So many great fossils! Explore mineral treasures of Nova Scotia exposed when the great Fundy tides washed away the sea cliffs. See a collection of beautiful amethyst and agate gem stones.